Member of Australian Physiotherapy Assoc. Sports Physio coverage for over 25 years for local and representative soccer, rugby union and rugby league teams, also for National Free Styles (NAS) martial arts and South Pacific Judo Championships tournaments. 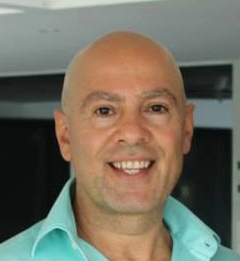 Also offered are the following programs that are prepared, conducted, supervised and carried out by Anthony Ruggeri, who is WorkCover approved and accredited physiotherapist. Individual aquatic physiotherapy programs at a local indoor heated pool and public aquatic centres. Conducted within Leichhardt Physiotherapy Clinic’s fully equipped pilates studio. Your Inner West Physio – at your service.